1. True or false: On approach to land at a high elevation airport the indicated airspeed on final will be faster than normal by approximately 2% per thousand feet. 2. A pilot would most likely expect to encounter downdrafts when approaching a ridge line from which side? Windward, or leeward? 4. As a precaution, when taking off from an airport at high density altitude, a pilot should opt to abort the takeoff if 70% of rotation speed is not reached by what point on the runway? Pilot Deviation: It Happened to Me, Now What? 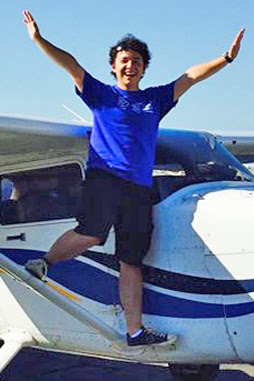 CFI Round Table: What the Heck is the Wings Program? 1. False. Indicated airspeeds remain the same. Ground speed will be higher. 2. Leeward (or downwind) side. A big round of applause and a BRAVO! to Herb Patten, who was recently awarded the distinction of Master Ground Instructor by the National Association of Flight Instructors (NAFI.) Herb teaches a fun and thorough ground school, is a major contributor to our safety seminars, and the Student and New Pilot Support Group. Herb joins Max Trescott, Sue Ballew, and Dan Dyer as recognized Master Instructors by NAFI. An unbalanced propeller will create vibration and stress in the propeller, driveshaft, and the entire engine, decreasing overall performance. 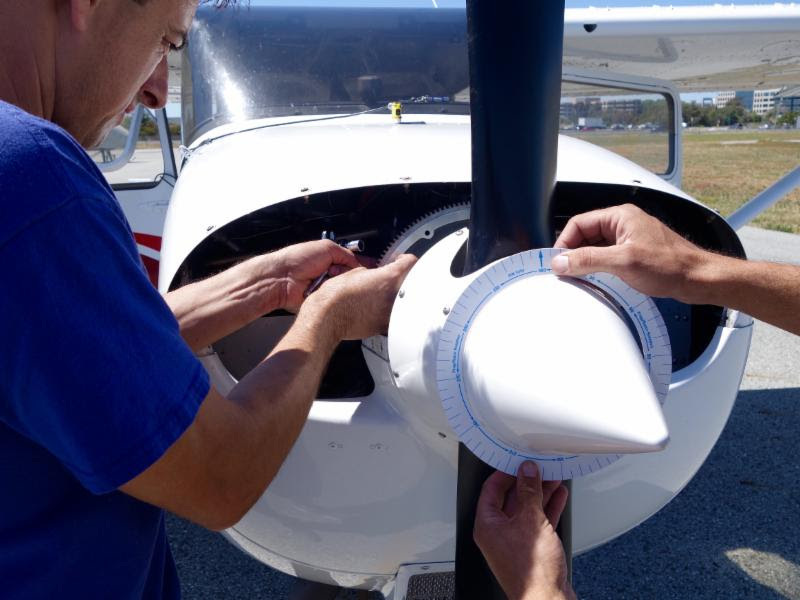 Periodic prop balancing can help reduce vibrations, cut noise level, capture more of the available engine horsepower, and improve quality of flight by reducing pilot annoyance and fatigue. 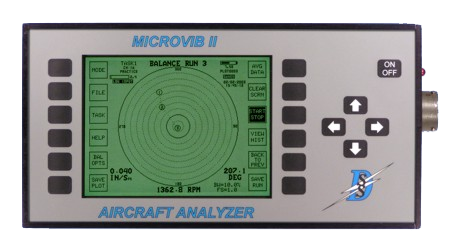 San Carlos Flight Center Maintenance now offers prop and rotor balancing using the MICROVIB II, a tool designed and built for rapid, accurate dynamic balancing of airplane propellers and helicopter rotors. Dynamic propeller balancing for Lycoming engines can be as low as $250 and be completed in about an hour. For a smoother ride, contact SCFC Mx today at (650) 946-1700. The response to last month's announcement of archived safety seminar videos has been great! In addition to live streaming the twice-weekly seminars, SCFC Renting and Community Members now are able to access videos of those seminars at any time of any day through the Members Only section of the web site. We're excited to announce that we've been able to convert some of the safety seminars recorded during early testing, and made them available as part of the archive as well. Happy Safety Viewing. Pilots have access to a rare view - fireworks as seen from the air. On clear, calm, 4th of July nights, some pilots take the opportunity to celebrate with a night flight. An airplane or helicopter can truly provide the best seats in the house. If you plan to fly on Saturday, take the necessary precautions. Be night current if you are taking passengers, and plan a route that keeps you safely above the action. 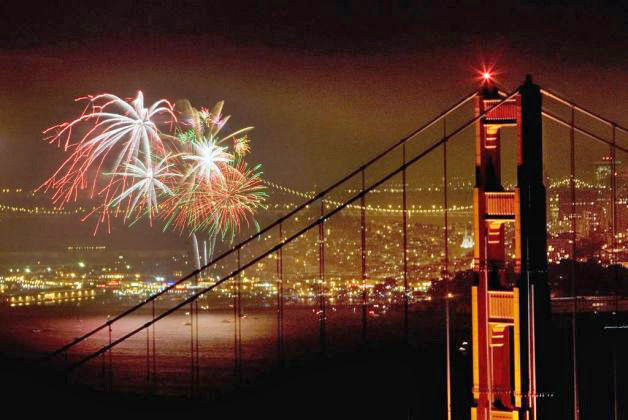 Large fireworks can go as high as 1,500 feet AGL but most are less than 1,000 feet AGL. Exercise caution and circle wide of the firing area. It's safer and gives you a better view of the action. Challenge yourself this month to refresh or improve your awareness of aerospace physiology. 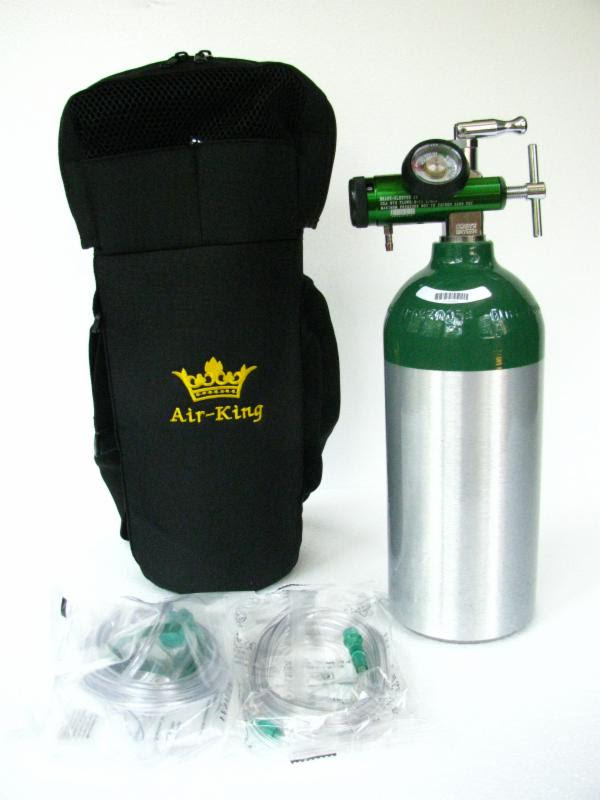 July's training challenge is Flying in the Flight Levels, with an extended ground training session on oxygen systems, hypoxia detection and prevention, and use of supplemental oxygen systems followed by a ride up to 20,000 feet. The intent is for pilots to develop a better operational understanding of the importance of oxygen to pilots, and an improved awareness of their personal hypoxia warning signals. Three pilots per session. Some restrictions apply, and space is limited. Grab two friends or sign up to be grouped with other pilots. It's a one-of-a-kind training experience, making you a safer, more informed pilot! Call now to schedule your Flight into the Flight Levels (650) 946-1700. SCFC: What got you interested in flying? SC: I've lived around aviation my entire life. My father Is an air traffic controller in Romania and during my childhood I was able to visit him at work and listen to radio comms. Later we started flying whenever we went on vacation which dramatically increased my love for flying and my desire to be a part of it. SCFC: And what motivated you to start training? SC: I've wanted to start for the past decade. Living in Europe and going to school didn't leave room in my (parents') budget to sponsor flight training. Once I finished school and got a job I knew this is what I'll be spending my money on. SCFC: What part of the training did you find most challenging? SC: Soloing is certainly a memory I will cherish forever. I took a video, but the memory of that day is still very clear in my head. The other thing I really enjoy about training and aviation in general is the constant learning. There's always something to improve. SCFC: What are your flying goals and aspirations? SC: To improve, to constantly learn, and always keep up with developments in aviation. For now I plan on getting checked out in different planes, building up experience, and in a few months continue with instrument training. In the future I would also consider becoming a CFI and helping other people become a part of aviation. SC: Wish I was flying. And work as an engineer at Flipboard, where I am also fortunate to improve my technical skill daily. Are you made for Special Ops? Pilots are giving people, and SCFC pilots even more so. SCFC's "Special Ops" team is made up of SCFC members, family, and friends who want to make a difference. You can see them helping out at Airport Day, helping to organize events for YAW or Fly Like a Girl, and greeting new members in the office. The Special Ops team is now made up of over 30 people contributing their expertise and energy, making the Flight Center a place they want to belong, and promoting general aviation. Is Special Ops for you? If you love being a pilot and sharing it with the world, you should join this team. We are seeking a few Special Ops Project Leaders to take on coordination of some unique and special member events. To inquire or join the team, please contact Shannon at shannon@sancarlosflight.com. 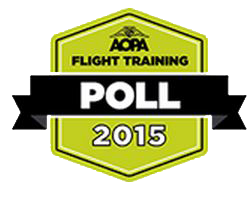 It's time again for the AOPA Flight Training Excellence Polls, the annual effort to celebrate and promote the best in flight training and pilot education. San Carlos Flight Center encourages you to take a few minutes and recognize your favorite Flight Instructor. Help us bring attention to the many dedicated instructors who make quality flight training their career and their passion. Click here to take the poll, and cast your vote of appreciation. SCFC recently teamed up with Flight Chops and Jason Miller's The Finer Points of Flying to film a series of videos on mountain flying. Four SCFC pilots and two CFIs participated in the weekend flying and camping adventure in the Sierra Nevadas. They practiced mountain flying techniques, and learned valuable survival skills from survival expert Howard Donner. Visit flightchops.com or thefinerpoints.net for more information about the upcoming videos. Continuing this summer, SCFC is offering two CA Mountain Flying weekends of our own in July and August. These training events are a fun way to work toward your mountain flying or high-performance checkouts. Spend two nights flying in the Sierras, landing at the both most common and most challenging mountain airports, with an overnight at Lake Tahoe in between. This summer's dates are July 25-26 and August 22-23. Contact Shannon Blike at shannon@sancarlosflight.com to sign up. Thursday, July 2, is the next Full Moon Flyers trip, with dinner in Nut Tree. But wait, there's more. In the month of July we get a bonus, second full moon, often called a blue moon, on Friday, July 31. The Bay Area FlyOutGroup is celebrating this event with an extra special Full Moon Flyers event. We've long wanted to do a dinner flight to the Top Flight Grill in the terminal building at Stockton, but they don't normally serve dinner. 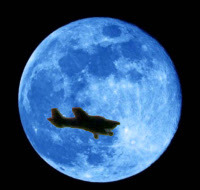 To celebrate the July Blue Moon, we have arranged for them to stay open just for us. Calling all FOG Full Moon Pilots to join us for this special dinner. This dinner will also be exciting because our Upwind Scholarship winners will be completing their night training on this evening. FOG pilots with extra seats are invited to offer rides to the parents of the Upwind winners, so that they can share in the fun dinner with the students.